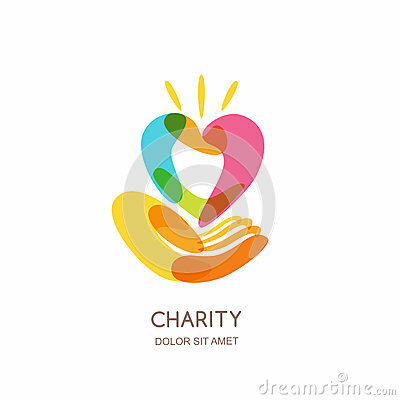 Charity logo design template. Abstract colorful heart on human hand, isolated icon, symbol, emblem. Concept for voluntary. Charity logo design template. Abstract colorful heart on human hand, isolated icon, symbol, emblem. Concept for voluntary, non profit organization or health and healthcare themes.